Low-fat muffins can be light and fluffy, and it all comes down to the flour. Just make sure you spoon the flour gently into the measuring cups and level with the back of a knife. Resist the temptation to scoop the cups into the flour and pack them full. 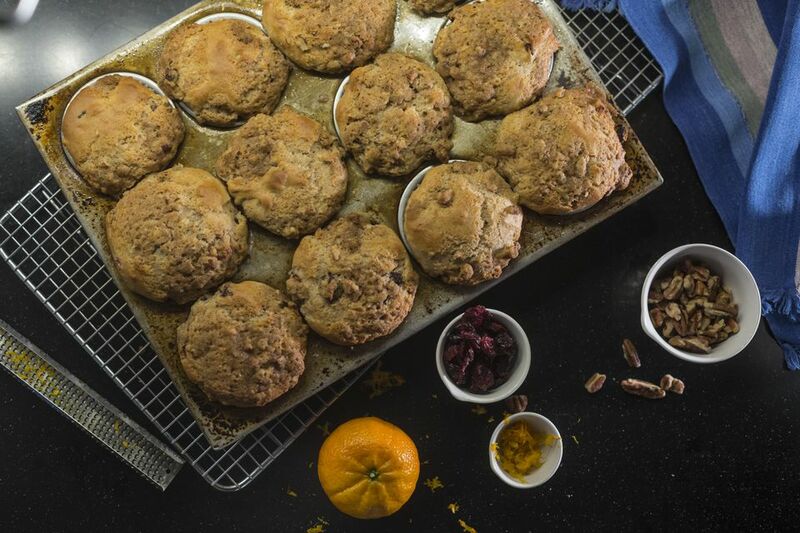 These delicious cranberry orange muffins have just the right balance of sweetness and tartness. Line muffin pan with paper muffin cups. In a large bowl, combine flour, baking powder, baking soda, salt, and sugar. Combine with a whisk. In a small bowl, add beaten egg, oil, orange juice, and zest. Stir well. Make a well in the flour mixture and add wet ingredients. Stir until just moist, being careful not to overmix. Fold in chopped cranberries. Spoon batter into prepared muffin pan. Bake for 16-18 minutes, until muffins are golden and spring back when touched.